Migrant Universe: The Heart of the Matter presents a map-like nexus of intertwined lines, forms, and references, all of which speak to the simultaneously connected and alienated experience of a modern immigrant. Created in 2011, it was Softić’s final Migrant Universe work, but it serves as the ‘first chapter’ of the series’ visual narrative. 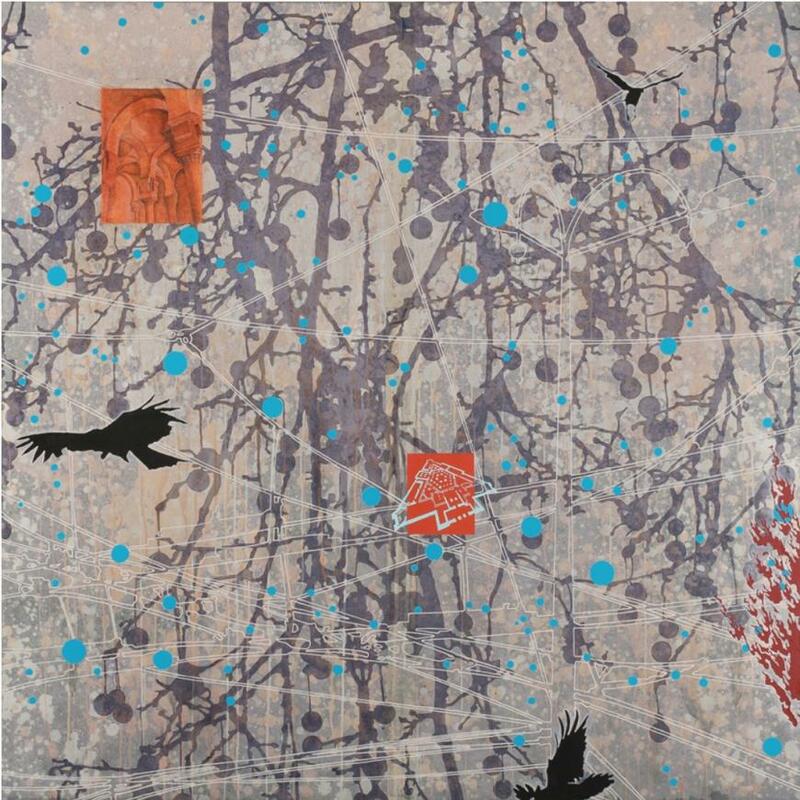 Against a background layered with branch-like forms and white outlines that suggest a grid of cables or power lines, Softić has superimposed small vignettes of disconnected images: a small spaceship, a rash of red flame-like forms, a detailed Romanesque architectural rendering, and three black birds. Virtually indistinguishable from one another in depth, no one component is the focal point of the piece; rather, they represent, as a composite, the automatic and associative properties of memory, a theme around which Softić builds her aesthetic and theoretical vision.